Ask bird-watchers to list Southern Oregon’s greatest attractions, and they’d no doubt mention Crater Lake, the Oregon Shakespeare Festival and wine tasting. But you’d also hear a few other reasons why so many flock to this diverse avian region each winter. The Klamath Basin, a biodiverse region home to a variety of bird species, provides the ideal backdrop for the festival. In just one basin, migrating birds can find open water, marshes, meadows, forests and woodlands, grasslands and rocky cliffs. 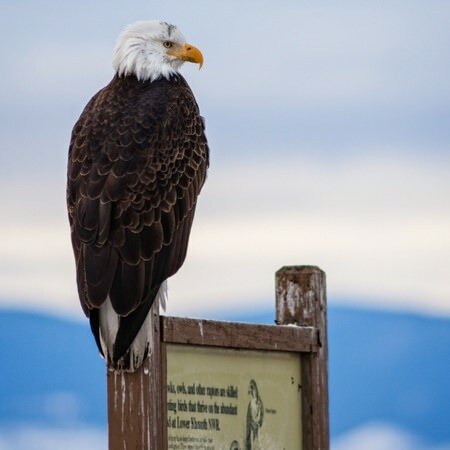 The six-part Klamath Basin Refuge hosts the largest wintering concentration of bald eagles in the lower 48 states. Each November, up to 1,000 bald eagles make their way to the Klamath Basin wintering grounds, arriving from as far away as Canada and Glacier National Park. Field trips offer a unique look at the region. A favorite field trip during the Winter Wings Festival, the annual Owl Prowl takes place at the Klamath Marsh National Wildlife Refuge, about an hour north of Klamath Falls. 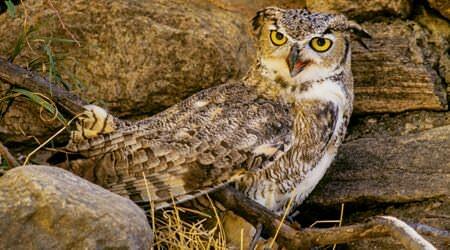 Birders stay overnight at a refuge bunkhouse and go out after dusk with experienced guides to listen for owls. You might even spot the rare Great Gray Owls. Register on the Winter Wings website. Be warned that sought-after events can fill up fast, but there’s plenty of feathery fun for the entire family — and opportunities for birding beyond the festival. Can’t make it to Winter Wings Fest, or want to extend your stay? It’s easy to enjoy birding when you know where to go. 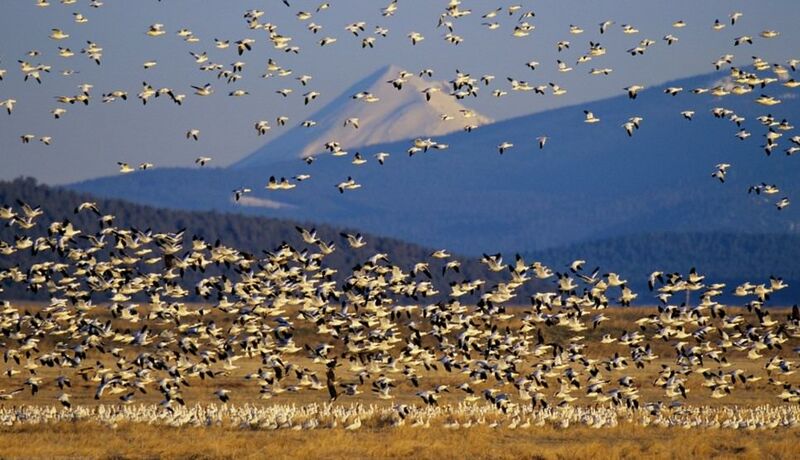 Klamath County is home to more than 300 species of birds. 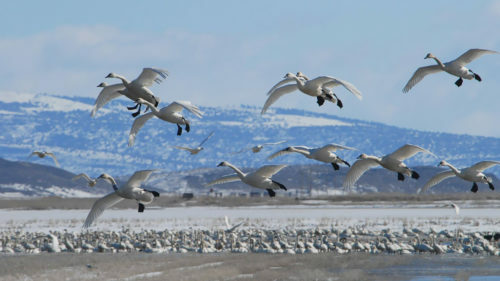 The experts behind the festival recommend two guidebooks to give you the lowdown on the region’s best spots: the “Klamath Basin Birding Trail” and “A Birder’s Guide to the Klamath Basin.” Both are available at the Discover Klamath Welcome Center, the local tourism office, and at the Running Y Ranch Resort. You can visit the website for the Klamath Basin Birding Trail for a complete index of birding sites and other helpful resources. Another great source of information is the U.S. Fish and Wildlife Service National Wildlife Refuge complex Visitor Center at Tule Lake. 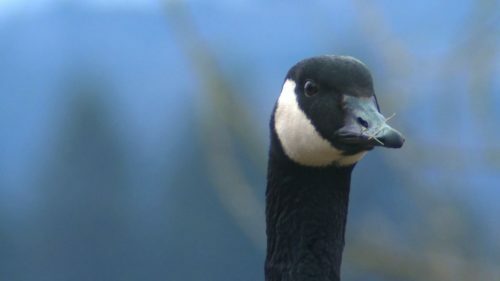 The Oregon Department of Fish and Wildlife provides bird-watching resources on birding trails, birding tips and other up-to-date information. Most birding sites along Tule Lake and the Lower Klamath can be reached by car. They’re all within reach of downtown Klamath Falls, allowing you to spend all day birding or only a few hours. Most roads in this rural area are one lane, so take care when pulling over to spot birds. Thankfully, they should be easy to spot: this past January, visitors reported seeing so many eagles flying in and out of the Bear Valley Roost area that they lost count. For those who would rather hit the trail, the Skillet Handle trailhead is located within the Running Y Ranch resort property, and is easy to access. The trail is relatively flat, runs along Klamath Lake and offers numerous birding opportunities. 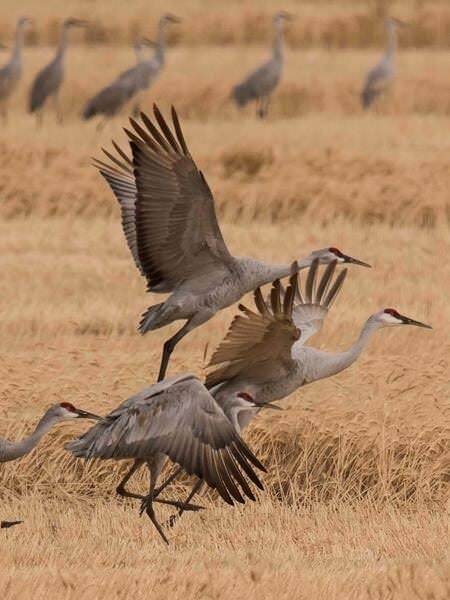 If you’d rather head out on a bird-watching tour with an expert, field trips to bird-watching hot spots are organized by the Klamath Basin Audubon Society (check their online calendar of events). 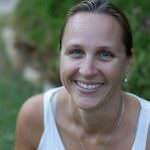 Visitors needn’t be members, nor do they need birding experience. Just bring a backpack with rain gear, a hat, sunscreen and binoculars. Want to visit at another time of year? 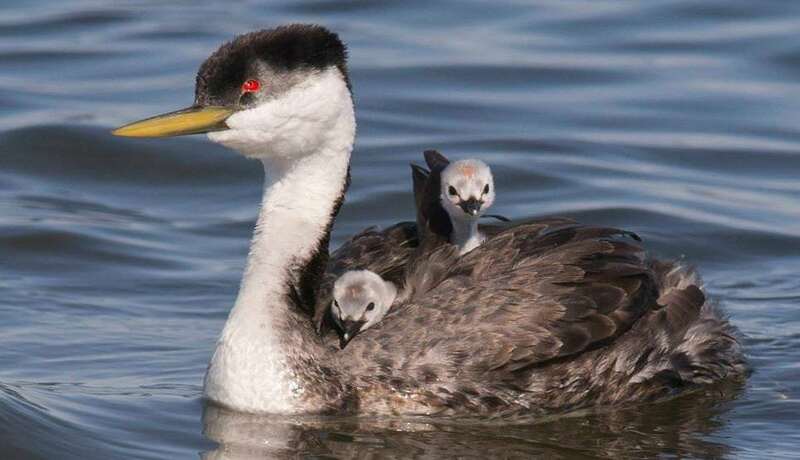 Winter Wings Festival organizers suggest visiting through March for bald eagles and other raptors and waterfowl, or between April and June to witness the courtship dances of the Western and Clark’s Grebes from a great viewing area at Putnam’s Point. In summer, sage habitats in the eastern part of the Basin are good places to find Sage Thrasher, Brewer’s Sparrow and Gray Flycatcher. 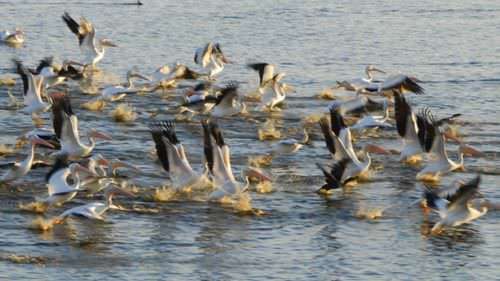 The American White Pelican is a favorite summer visitor, as well, along with a diversity of shorebirds.